The following is the documentation of a loan given to Oscar from his brother inlaw Annon Wittenboon. 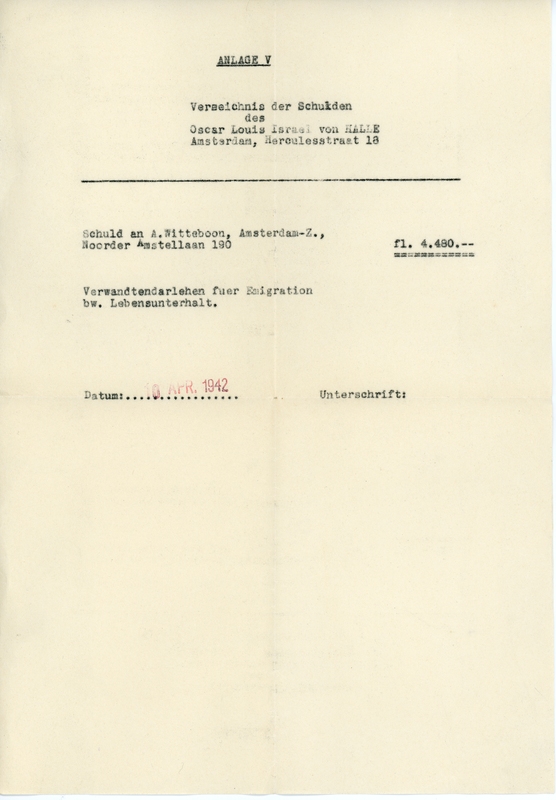 The document states the loan was for “emigration and means of sustenance”. By 1942, Oscar was forbidden from working as an architect, and money was extremely tight. Annon, who married Oscar’s sister Alice, was a Dutchman (and Christian? I think).